Norbury Primary in Harrow has been reassessed recently and become a Centre of Excellence. Norbury School is situated in Harrow. It is a larger than average primary school with 636 pupils on roll. The proportion of pupil premium students is above average at 17.7%. Pupils come from over 50 different countries. 83% of pupils speak English as an additional language and pupil mobility rates are higher than average. Norbury is a warm, friendly welcoming school. The environment is bright and positive with interesting and informative displays in corridors and classrooms. The Inclusion team, led by the head teacher, sets the tone for a supportive, caring, inclusive environment with high aspirations for all. Families from diverse cultures and faiths are welcomed and there are good relationships with parents and carers, as well as with the local authority, other agencies and the wider community. The school website describes Norbury as ‘A World in a School, Learning Together’. Norbury’s values permeate the life of the school. The head teacher leads by positive, energetic and enthusiastic example and oversee all aspects of inclusion. As a result of the combination of robust teaching and learning strategies, strong inclusive values, a thorough tracking system and positive and effective behaviour systems, the progress of pupils, from low starting points is above national average with pupil premium students making excellent progress. Inclusion is an integral part of school life. This was evident in every conversation with leaders, teachers, support staff, governors, without exception. Relationships are very positive and built upon mutual trust and respect. Staff are committed to ensuring that every child matters. Children take huge pride in their achievements and in their school. This was explicit during the tour of the school and in talking to members of staff, parents, governors and pupils alike. The school values the individual and promotes high self-esteem encouraging a ‘can do’ culture which is central to its ethos. All children are provided with challenging learning experiences in order to fulfill their individual potential in all areas. The head teacher, her leadership team, staff, governors, pupils’ parents and local community members are totally committed to the inclusive nature of the school, and staff, parents and pupils are proud to be ‘Norburians’. Pupils are polite, friendly, self-confident and enthusiastic. They behave very well around the school, in their lessons and in the playground. They speak very highly of their school and its staff, for whom they have great respect and they know that they are listened to and cared for. There is an open-door policy, which encourages children and parents to seek support, with the result that needs are understood and everyone works hard as a team, to achieve the best possible outcomes for children and their families. Teaching and support staff work closely together and plan carefully to meet their pupils’ individual needs. Staff are positive, energetic and fully committed to the pupils and to the school. They love the family atmosphere in the school where all staff know all the pupils. I would like to thank all those who generously gave their time during the IQM assessment and especially to the head and deputy head teacher who organised, planned for and coordinated the IQM process. I spent two very full days at Norbury and spoke at length to parents, children, staff members and other agencies. In particular, I will remember the young people who took me on a guided tour, they were so confident, competent and proud. I will also remember pupils who entertained me at lunchtime, the sports council, as well as various other children who were curious and very happy to talk to me. 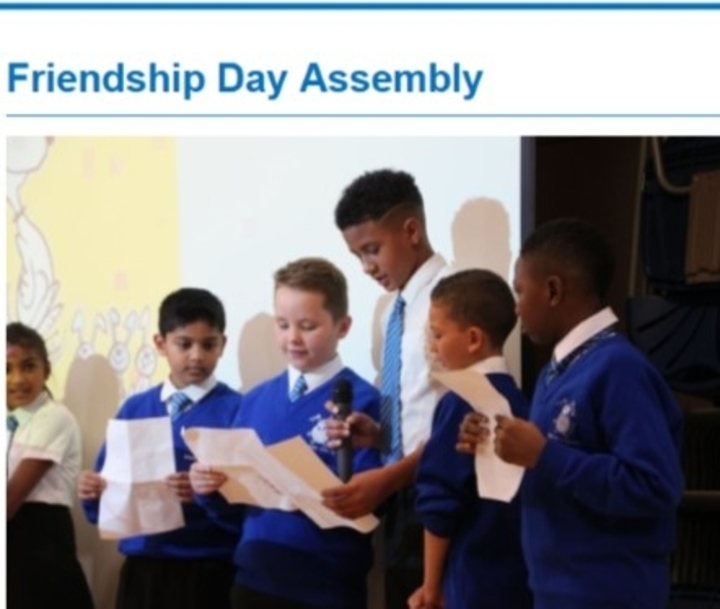 The whole school celebration assembly, my meeting with the young carers’ group and the FGM presentation delivered by pupils in years 6+7. All were highlights which I cannot commend enough.